It’s about time for a Redragon M601 review. This mouse has some pretty awesome features such as adjustable weight, good DPI settings and an ergonomic design for a price that makes sense. If those types of features suit your play style then this is definitely going to be worth taking a look at. This mouse is for those that are basically looking for an adjustable weight system for the lowest price point possible. Also if you have a 1080p monitor for your PC then this mouse is going to be pretty optimal for that kind of specific monitor. the maximum DPI setting is great for 1080p resolution monitors. There are some pretty cool features that come with this mouse and for its price point, depending on your own personal opinion, it may or may not be worth making a purchase of. This mouse has a DPI setting of up to 2000 DPI. It can switch between different settings but 2000 is most likely where you are going to want to stick at because that is going to be the most optimal setting, especially for today’s choices of monitors. If you have a higher resolution monitor then a higher DPI setting is going to be key if you’re looking for an accurate mouse. This is extremely important with anything PC gaming, especially when it comes to first person shooter games. If you have a higher resolution than 1080p then you’re going to need a higher DPI setting in order to get optimal results with a PC gaming mouse. So basically, this mouse is absolutely perfect for 1080p monitors, but anything with a higher resolution than that then you’re going to want to look for a different mouse. Now to me this is more of a personal preference but having adjustable weights could definitely improve your gaming potential. Because if you want a certain weight for certain games then maybe you’ll want to switch to just that. Typically, if you have a heavier mouse then it is going to be easier to control the accuracy of those head shots that you plan to execute in those first persona shooter games. If you have a lighter weight mouse then you’re going to be able to obviously move it faster, this comes in handy when you are playing a strategy game because you’ll want to be able to move across your battlefield in the fastest way possible. But, like I said, this is mainly a personal preference and it is also a completely optional thing if you don;t want to mess around with the weight system at all. If that is the case then I suggest looking for a different mouse because you might be able to go even cheaper on the price, even though this mouse is at a great price point for its many features. Click Here To Read The Amazon Reviews! The buttons on a mouse are probably the most important aspect of the mouse when it comes to virtually any given mouse on the market. This particular mouse has 6 optimized buttons and 2 programmable buttons. The two programmable buttons are the thumb buttons, these are extremely helpful for pretty much any game out there because it is much more convenient to use a hard to reach key to map to the thumb button instead because it is just right there. Then there are the scroll wheel button, the two main mouse button used with your pointer and middle finger and then there is the DPI button which can also be used for a specific action on a game if you so chose for it to do so. I’m not entirely sure how many DPI settings that are officially with the mouse but I do know that the max setting is at 2000 DPI, so you’ll be able to switch between that and the other settings with that button. 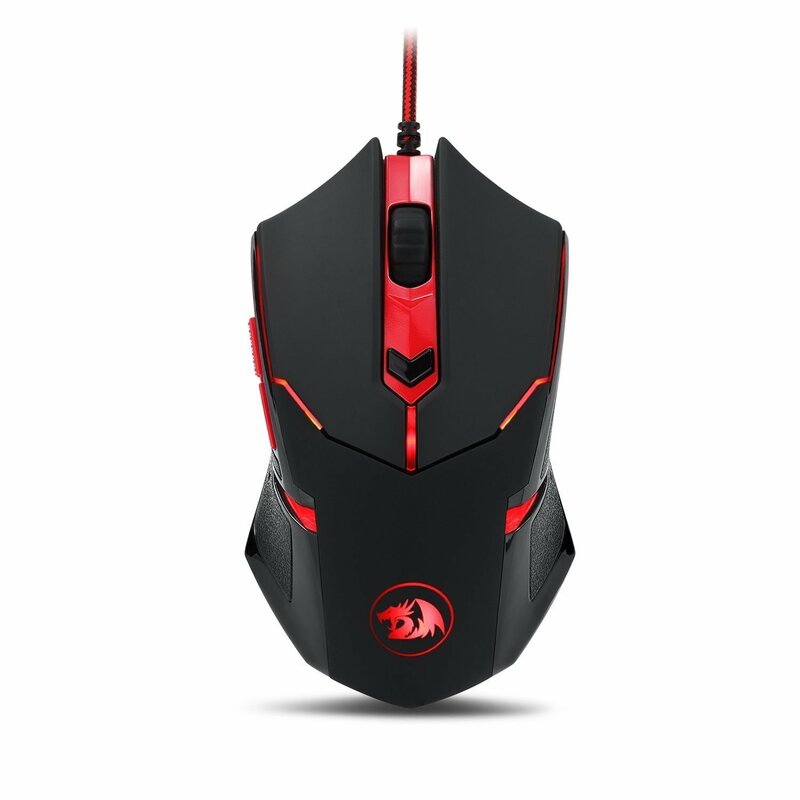 Redragon has a software out for this mouse where you’ll be able to change the different settings of the mouse and you’ll also be able to set up the different macros of the mouse in the software as well. You’ll have to go to the official Redragon website for the software download if the mouse doesn’t already come with the software by default, it wouldn’t be much of a hassle if you ended up having to do that anyway. The software is a very nice part of this mouse and it is kind of rare to see a nice dedicated software to go with a mouse at this cheap price point, Redragon is going great things. Basically, you’re going to want to download the software, it is optional but if you want the most out of your mouse then you’ll have to get the software some how some way! All in all, if you have a 1080p resolution monitor or less and you’re looking for a cheaper solution for a mouse then this is probably going to be the mouse for you. It is some great features for its price and is definitely worth picking up if you have that little bit of room in your budget. So, what do you guys think of this Redragon mouse? Do you enjoy having adjustable weights on your mouse? Tagged redragon, Redragon M601 Review, weighted mouse. Bookmark the permalink. Just the first glance at this and I was sold. This is by far the best looking mouse I’ve EVER seen. It has that concept car design look, perfect looking size and ergonomic design. I would pay 14 bucks in a snap, love it. I agree, the mouse looks stunning for its price point and it is 100% worth it for sure! Wow, this is an awesome mouse that really puts mine to shame! This is one I just may have to get. Thank you for the awesome review! This mouse is excellent you definitely won’t regret picking it up, and you’re very welcome!! Can you program the side buttons to act like a ‘back’ button on your browser? My husband’s old mouse used to do that and I really liked it. Have yet to find another mouse I like that can. Hey Sarah, this mouse will already be able to do that without any programming to be done! Just ordered this mouse from Amazon. Your review sealed the deal for me. Thank you for covering this mouse! Hey i was planning to get a gaming mouse and initially was hooked to Logitech g402 Hyperion Furry, i mainly play fps and was wondering if i should ditch the 402 and get this guy! what do you think? If you’re looking for best bang for your buck, get this Redragon one. But if your budget allows it and you want to pay for the brand then go ahead and get the Logitech mouse! Really it’s all about what resolution you’re playing on and the DPI that a mouse offers. Return it and get the Perdition? I don’t care for this mouse. It’s marketed as a gaming mouse but I’ve failed to find a way to program the side buttons to shift-control and alt to play WOW. This mouse is just not my cup of tea. Does this mouse have the ability to “rapid-fire”? I need a mouse that will click at least three times per second, it is not for a game so I don’t need any other features. Does anyone know if this mouse can be programmed to do that or can you point me towards an inexpensive solution? Thanks. With that said, the Perdition actually has a specific button where it’ll click 3 times per second. You may want to look into it! how do you program the thumb buttons? I think you need the right drivers, you can get them right here. 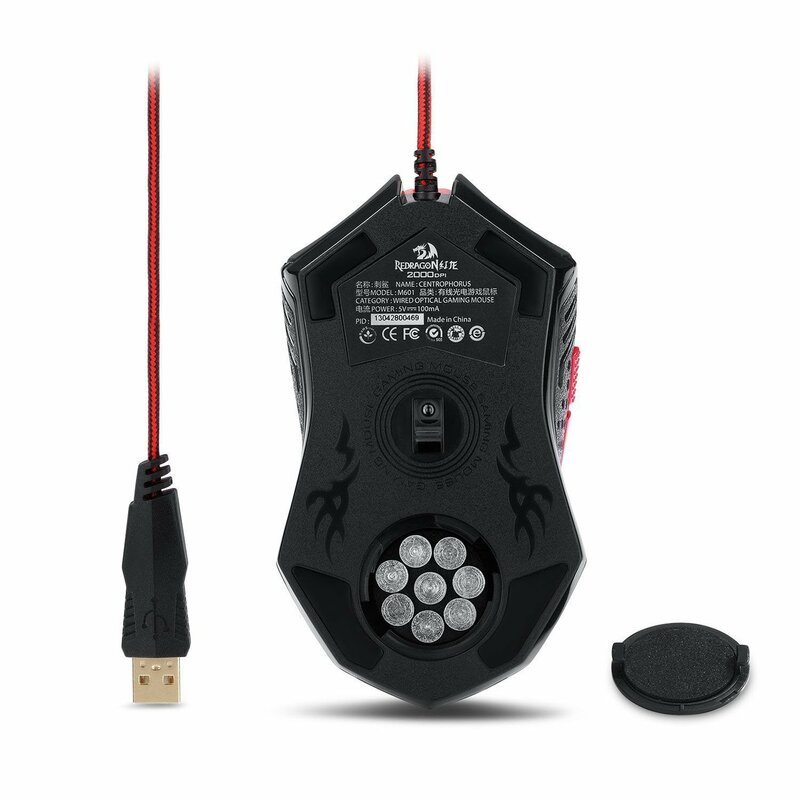 How does this mouse compare to the Red Dragon M701 Lava Wolf that I use? It’s a step up both aesthetically and technically, has 5Gs more on acceleration and 1500 more DPI on the DPI setting. An extra button on the M701 but it doesn’t have a weight tuning set to my knowledge. You sure? Try using the Centrophorus drivers right here and see if it provides a program? Let me know!